For most original gas tanks, the tank gauge unit is located in the gas tank. 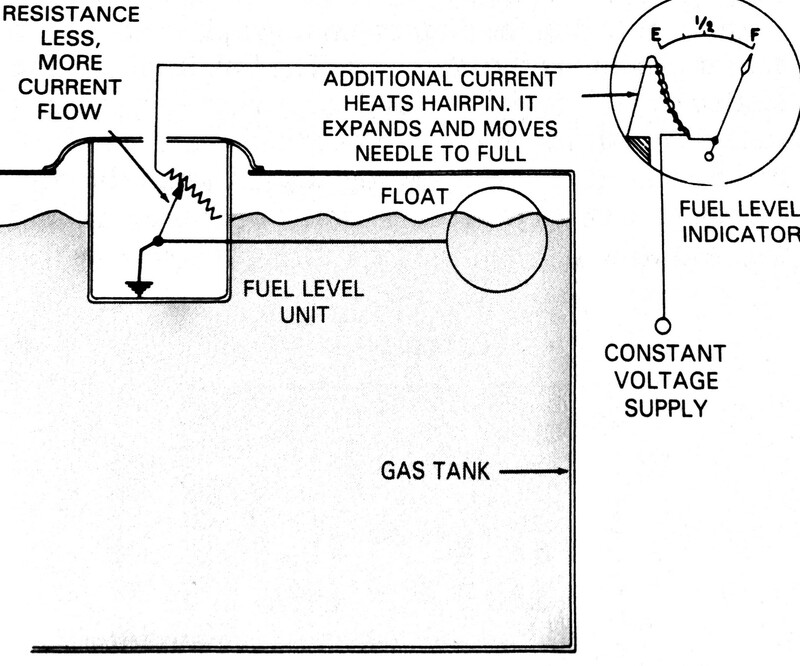 The tank contains a float that is attached to a resistance device similar to that used in an electric oil pressure sender. See the resistance unit in the illustration. 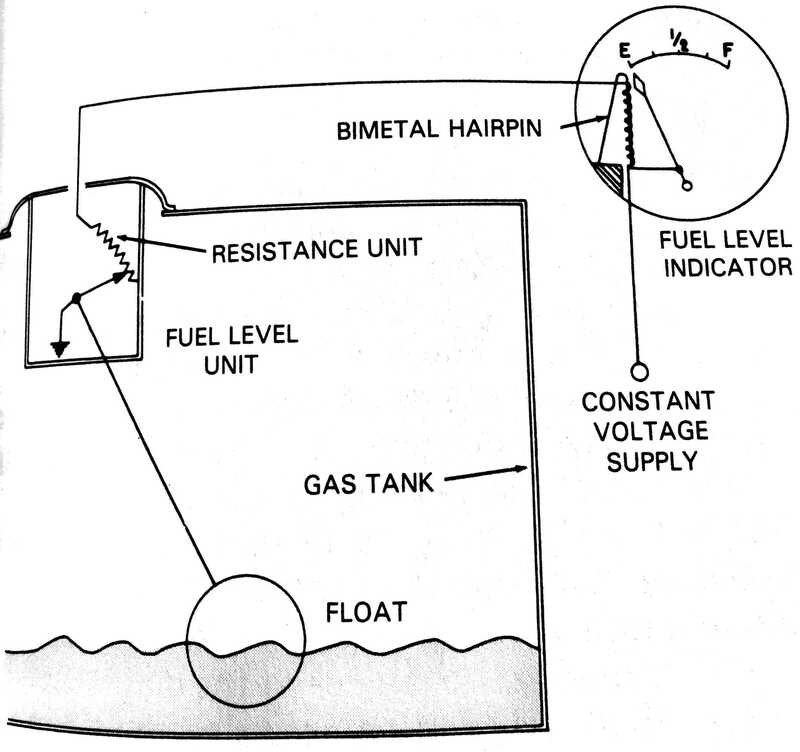 The travel of the float up, or down, causes the resistance to vary, depending on the depth of the fuel in the gas tank. Most gauges are designed to read empty when one or two gallons of gas is left. This allows the driver to get gas when the gauge indicates empty before running out of gas. When the float drops, current flow to ground through the bimetal metal coil will be less, because it must travel through the more resistance wire. This cools the bimetal haripin and pulls it together. When the tank if filled the contact slides up, cutting out resistance and current flow increases. This heats the hairpin and the ends separate, causing the needle to move toward the full mark.